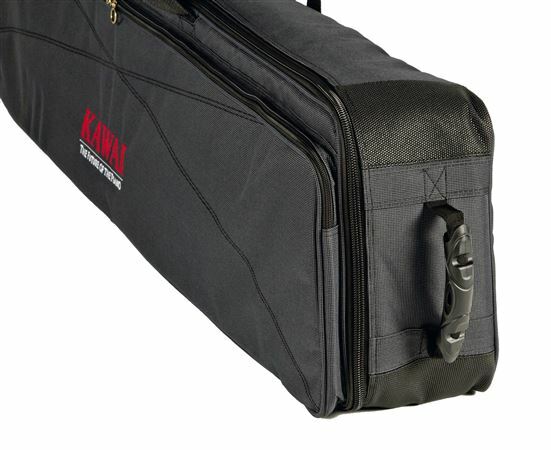 Order your Kawai SC2 Keyboard bag for ES110 Digital Piano from AMS and enjoy 0% Interest Payment Plans, Free Shipping, Free Extended Warranty & 45 Day Money Back Guarantee. The durable SC2 keyboard bag is made of high quality material and designed for your ES110 model. The optional soft case is great for pianists on the go. It even has wheels on one end to make travel even easier. The piano fits, it seems nicely padded. I haven't had to use it yet, and I'm not sure when I will. (Maybe I'll move someday?) I like the pocket on the top, the listing didn't make it clear that there was one, I don't believe.